Andy Cunningham and Henry Hwong on USA Today's Talking Tech Live! Cunningham Collective’s Andy Cunningham and Henry Hwong were guests on USA Today’s Talking Tech podcast with Jefferson Graham. 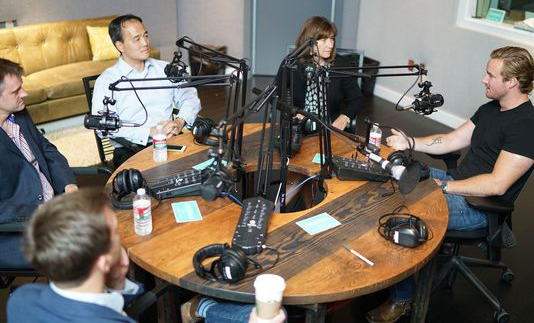 Andy and Henry joined Jefferson and four other guests for a spirited roundtable discussion about a wide variety of current events in technology, ranging from Apple’s newest gadgets to Google’s new logo to the PC market. Check out hour-long podcast here. Afterwards, Jefferson hosted an extended interview with Andy where they had a lively and in-depth discussion recalling memories of working with Steve Jobs. Andy told some fun stories reminiscing about her five years working on the front lines with Steve. Check out the 30-minute interview here.